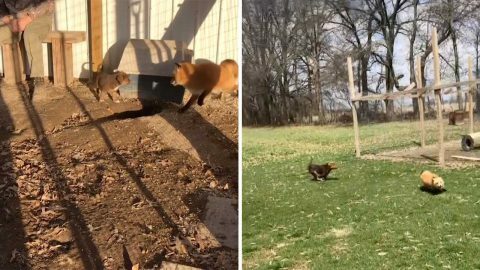 A leopard appears to defy gravity as it jumps for its prey in a savage attack captured in Africa. 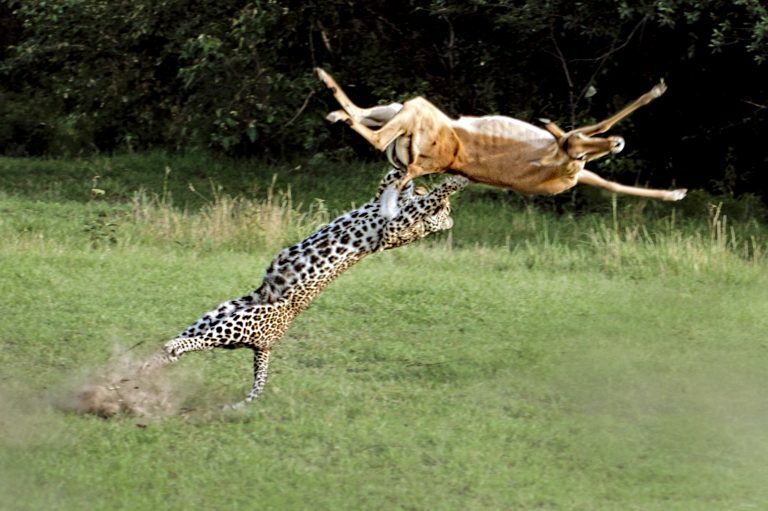 The image shows the helpless impala flying through the air while it twists to evade the big cat’s jaws. 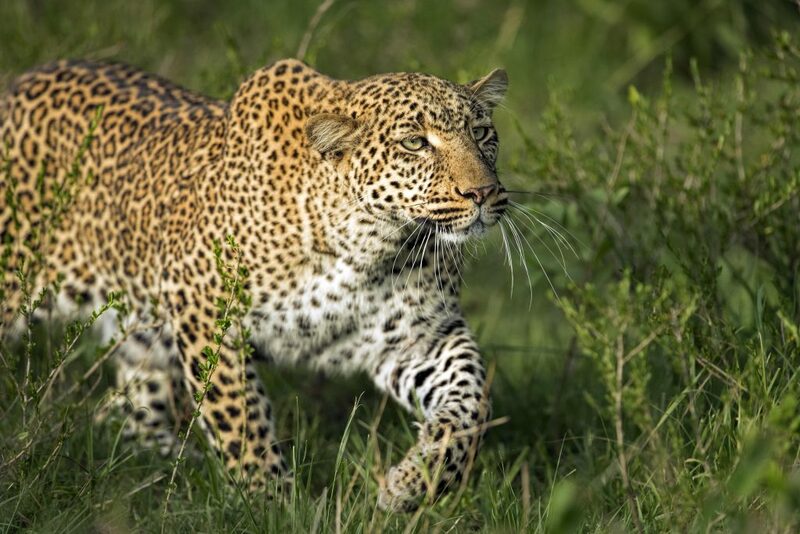 Aditya “Dicky” Singh captured the moment the lethal big cat made his move on the fleeing antelope. The 52-year-old runs safaris in Masai Mara Wildlife Refuge, Kenya, where he caught these shots last month. Aditya said: “We were looking for this leopard around the Kaboso plains in Masai Mara, which is her area, when we saw her emerge from the bushes stalking towards two male impalas. 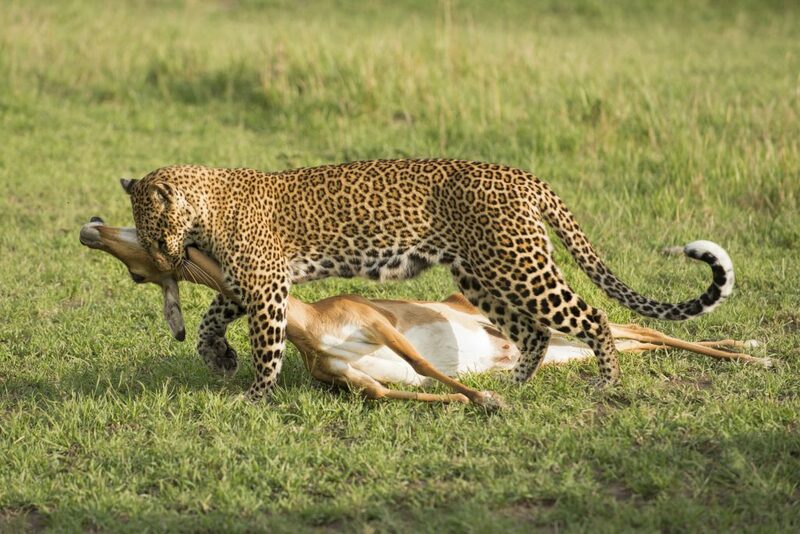 “A female impala that was watching the two male impalas running away, panicked and ran towards the leopard, giving the leopard an opportunity that she did not miss. “In a sudden burst of speed, the leopard caught up with the impala and leapt to catch hold.